Zara is at the center of an impending apocalypse. True, she’s successfully rescued Nick from Valhalla, but it simply isn’t enough. Evil pixies are ravaging Bedford, and they need much more than one great warrior; they need an army. Zara isn’t sure what her role is anymore. She’s not just fighting for her friends; she’s also a pixie queen. And to align her team of pixies with the humans she loves will be one of her greatest battles yet. Especially since she can’t even reconcile her growing feelings for her pixie king . . . Unexpected turns, surprising revelations, and one utterly satisfying romantic finale make Endure a thrilling end to this series of bestsellers. This was the strongest book in the Need series by far. I enjoyed it much more than the first two books in the series, and just as much as book three, Entice. The last half of the book was where all the action was, and I loved the plot twists. Endure was a slow starter, and somewhat repetitive: so Zara's a pixie now, get over it, Nick! She turned pixie to save his life, and all he can focus on is that she's not entirely human anymore! All remaining feelings I had for Nick quickly evaporated in the light of his treatment towards Zara. I was leaning towards Team Astley for the last two books, and I was so ready for he and Zara to get together by the time I was halfway through Endure. The minor characters have always been my favorite part of this series, and Endure was no exception. I loved the character development Jones provides for each of the characters, as well as the character growth. But my favorite part of the book was Zara's personal growth. 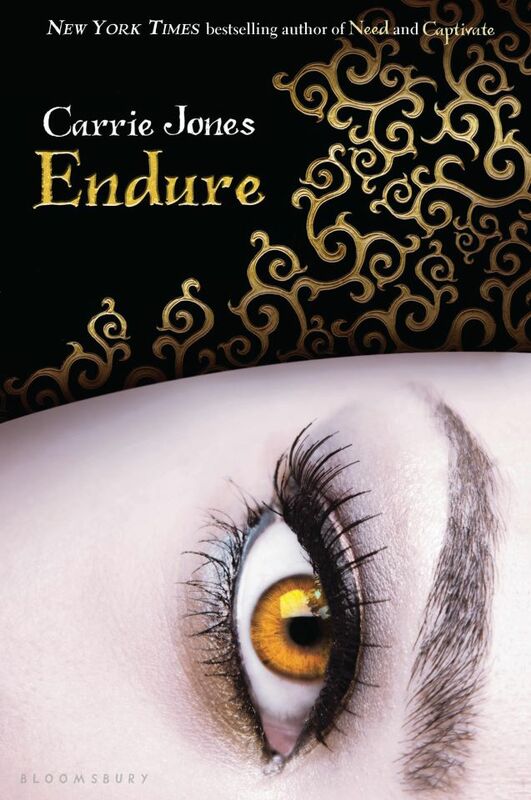 She really shines in Endure, rising to the challenge of defeating the evil pixies, and becomes a real leader. I loved that! While I found parts of this book to be predictable, I still enjoyed it. The imagery was outstanding, especially when the gang travels to Iceland, and then, Hel. The scenes with Zara's two fathers brought me to tears. I loved how she gets closure with each of them, and really starts to understand her biological father better. Overall, I would recommend this series. It wasn't one of my all-time favorite series, but I did enjoy it, and would most definitely read Carrie Jones again. I need to give series another go sometime. Thanks for review.